The road to SXSW was different for all of us. Some of us got here Thursday others drove early Friday morning and one of us unfortunately was under the weather. 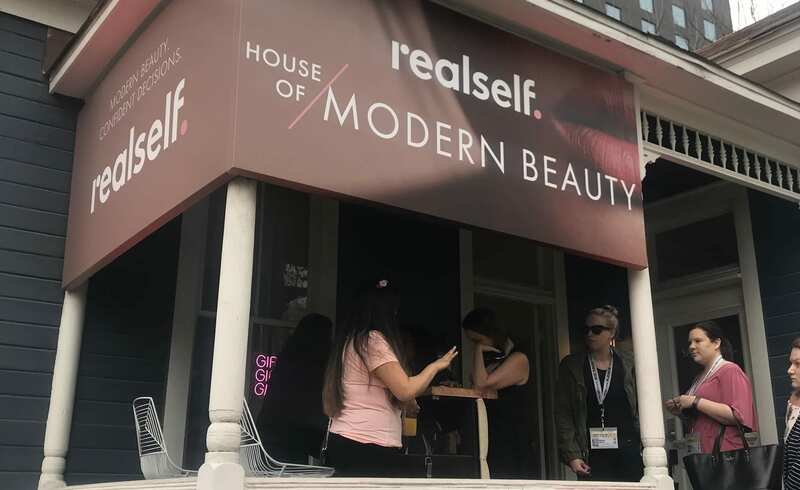 While the first two days were filled with long walks and sessions like Designing better ecosystems, Advertising detox, and design thinking in practice we woke up early to finally see what all the hype was about realself/ House of modern beauty. Upon arriving there was a wait but badges had priority. We signed a disclosure form and entered the house to explore. 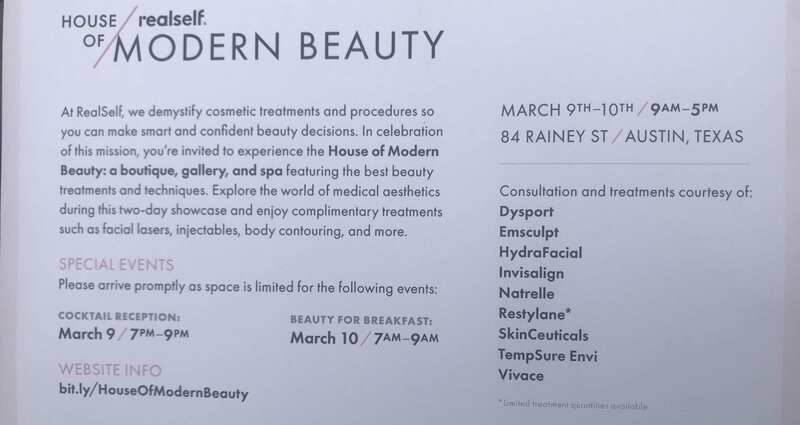 The RealSelfHouse of Modern Beauty offers consultations and treatments of Dysport, Emsculpt, HydraFacial, Invisalign, Natrelle, Restylane, SkinCeutical, TempSure Envi, and Vivace. 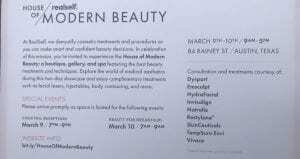 Various assistants of the brand, dressed in Millennial Pink, approached us and discussed the benefits of each procedure and service. Surgeons and service providers were readily available to answer any questions. Walking through the house there were displays of success stories from procedures. We saw some travel sized goods and mistakenly thought we could get them. As we progressed through the house into the backyard there is a cute little ba r covered in vines and dressed with pink flowers. Very chic and modern. Further into the backyard there were make shift tents with women getting procedures done as well as a stage for beauty panels through out the day. Overall, the activation was clean, bright, feminine, and youthful! The procedures appear to be very professional and trustworthy. 10/10 would recommend. As advertisers we assume that great creative pieces will automatically result in high-recall and brand recognition. Human brains are decidedly lazy and have to be working all the time to gather and understand information, which means that advertisers need to work hard to make both the advertising message interesting and memorable. In order for brands to be successful with their advertisements, they need to be understanding of the different ways to connect with consumers. They need to reduce the cognitive load that consumers are experiencing through their advertisements so that viewers don’t feel overwhelmed, but still understand the idea and message of the ad. 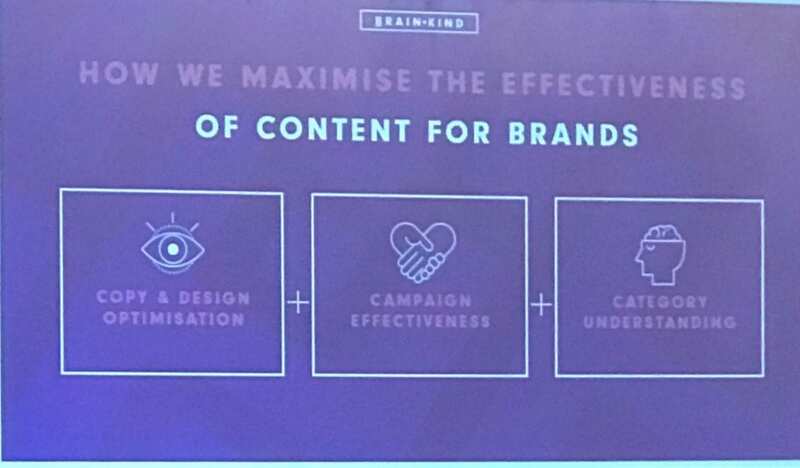 Brands need to focus on three kinds of thinking to be successful and reduce the cognitive load: Brand Kind, Behavior Kind, and most importantly Brain Kind. Brand Kind is the reality or relationship consumers have with brands; they are looking for “friends with benefits” relationship where they get what they want from the brand without too much effort. Behavior kind deals with the ability and opportunity for ads to bring a change in behavior such as making a purchase. Brain Kind is the most important one for brands to focus on and it deals with the visual shortcuts that allow brands to connect consumers using as many senses as possible. When ads only use one sense to reach consumers, there is not as much engagement, recognition, resonance, or relevance. The speakers throughout this session showed that they used neuroscience to measure the key metrics stated above. Some of the world’s most memorable and well performing ads rated highly in engagement, but sometimes had the lowest brand recall. By using neuroscience, the presenters were trying to find a sweet spot between creativity and memory. Since memory is a finite resource, creatives need to find the best way to garner as much of it as possible. They believe that better experiences and engagement of senses can help with brand recall, but too much will lead to cognitive overload. 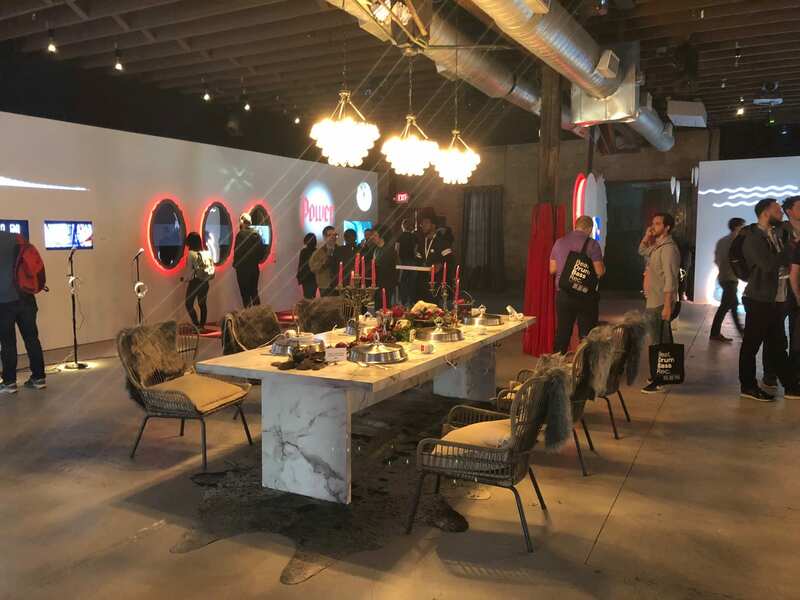 Brands that use creative ways to create moving ads (such as video) and experiential setups have the highest recognition, resonance, and relevance. Ads such as Sony’s Bravio Balls and Apple’s 1984 have high recall and recognition because of the ways they engage the brain. In the end, ads that have great creative elements that involve using different senses and direct brand messaging are the ones that stay with us the longest. The power of social good and corporate consciousness is a rising trend at South by, so much so that it has merited its own track “Social & Global Impact”. Regardless, it has been evident in almost every panel. People want to get behind brands that positively impact the community and the world, and it is important, now more than ever, that brands become beacons of positive change. Throughout the conference, videos of Elon Musk saying, “you should not just focus on fixing something, work on something that inspires.” This has become a clear motto for SXSW, as people focus on not only acquiring new customers and growth but also making an impactful social and environmental change to the world in which they work; thus, a win win for everyone. 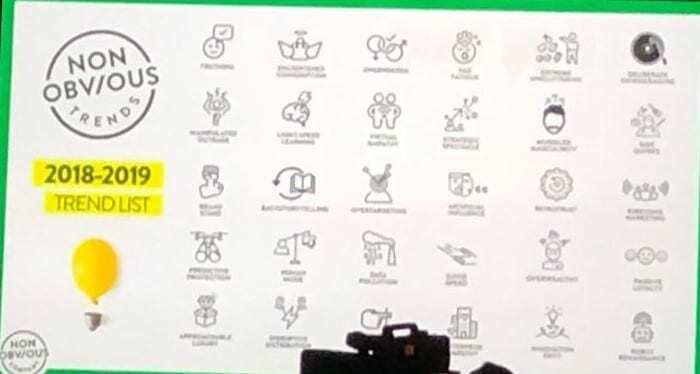 In Rohit Bhargava’s discussion of his book 7 Non-Obvious Trends Changing the Future in 2019, he explored the trend “enterprise empathy”, which positions businesses to showcase their involvement in the community and connect with customers on an emotional level. One example he gave, is that of the supermarket industry in the UK in which grocers like Tesco offer slower lanes and quiet hours so that customers with specific mental and health needs can shop in comfort and at leisure. Thus, they were able to tap into an underserved market and change the daily lives of their communities by making grocery shopping more accessible for all. 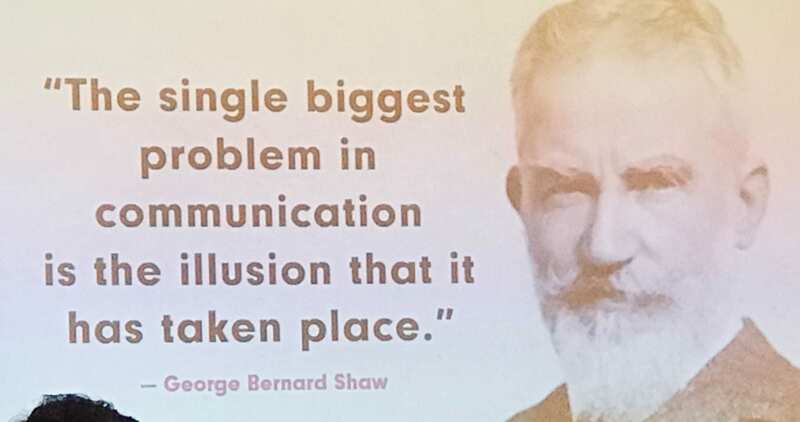 By tackling the problem emphatically, companies are able to better strengthen their mission, engage with customers, and find new avenues for growth. In a fireside chat with Christopher Gavigan, the co-founder and chief purpose officer at The Honest Co., and Nina Montgomery, the author of Perspectives on Impact and Perspectives on Purpose, aptly titled, “Moving Beyond the Buzz of Purpose & Impact”, both discussed the struggle of businesses and social enterprises to tackle and hold on to purpose in a meaningful way. Both said that it was evident that social impact as the purpose of a company is great driver of growth and brand engagement but it is critical that companies ingrain this purpose in to the entire culture and strategy of the business. You have to “show up in a meaningful way” in order to create a “global and iconic brand”. During the Bumble brand activation called the HIVE SXSW in which they took over Jo’s Coffee, each corporate employee passionately referred to the social mission of empowering women. Clearly, this purpose is deeply ingrained to the cultural foundation. It is reaffirmed in each and every way the brand grows, even so that expansion into India challenged the company to culturally adapt by ensuring women’s safety. When companies have a mission and become champions of social improvements, they strengthen from the inside out. SXSW once again empowers executives, employees, and innovators to gear their companies to become leaders of positive social and global impact, a win win for everyone. There is diversity at SXSW Interactive 2018. Yet, it is more of the same. The United States, Australia, Brasil, Mexico, china, Indonesia, Belgium, Great Britain, Iceland, Canada, Portugal, Italy, France, Turkey, Poland, The Netherlands, and Argentina. What do all these countries have in common? 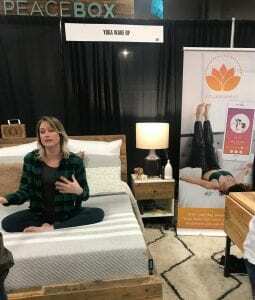 For the next few days, representatives from each country are occupants of a single room at the South by Southwest Interactive trade show in Austin, Texas. 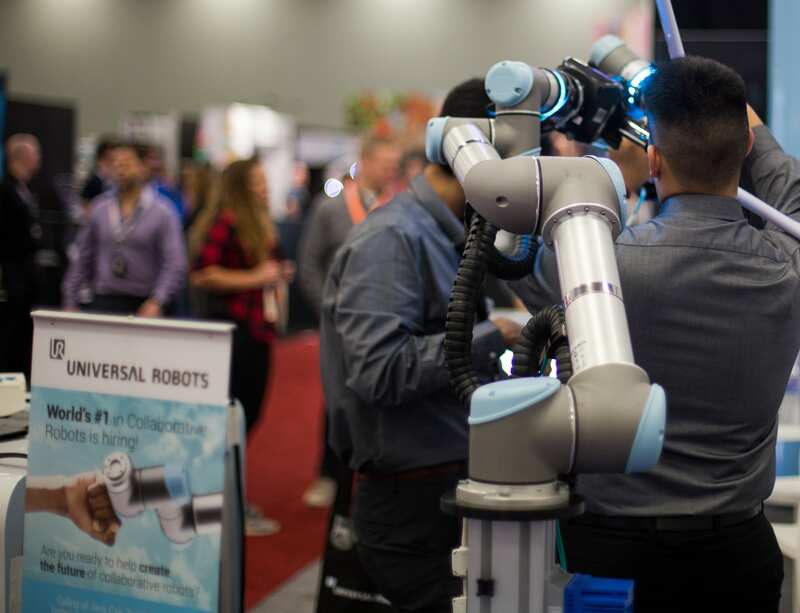 SMU graduate students Christopher Calhoon and James Williams explored the SXSW Interactive Trade show and discovered that nearly every country was at the show offering a similar mix of products. Tech ruled, with emphasis on demonstrations of different realities (xR) including VR, AR and MR (mixed reality). PhotoBloomAR is an interactive print platform that allows photos to come to life with movement and sound. Basically, they’re a Shutterfly for videos. The demo was a photo of a dog that when viewed through the app came to life as a video of the dog licking ice cream. After doing a few laps around the trade show floor and spending a few days here, we did not find one killer app, groundbreaking technological breakthrough or “paradigm shift” to come out of this year’s SXSW. Along with the country booths promoting a country’s technical abilities for business, there were many booths from biotech and medical tech companies promoting various products and services, but each seeed to be applications of current technology. 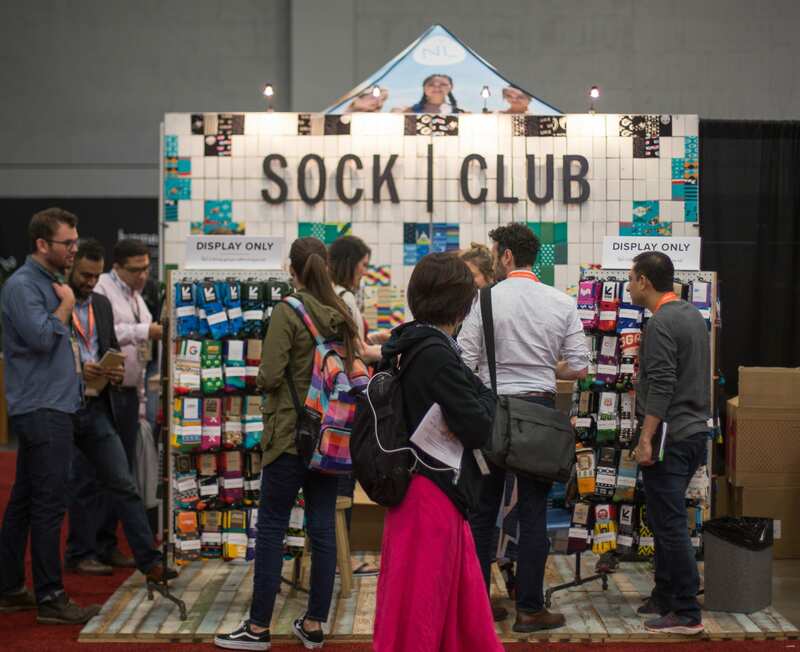 One fun idea from a startup based here in Austin is a sock subscription service called Sock Club. They started small by curating socks from other labels, and soon decided that they wanted to focus on their own manufacturing. Now all of Sock Club’s socks are designed in Austin, and the company has CSR at heart by controlling the entire production process, sourcing high-quality cotton, following eco-friendly processes, pay their workers are a living wage. While there were many countries represented on the floor and many languages being heard at the festival, the products being featured at the show are becoming more similar, competing on incremental improvements of already advanced technologies. Funny enough, this is where branding has it greatest power. When products have similar attributes, messages and brands become greater points of differentiation. SMU graduate students Lesley Warren & Allison Farris explored brand activations at SXSW Interactive. – A brand activation is a campaign, event, or experience to engage with consumers. 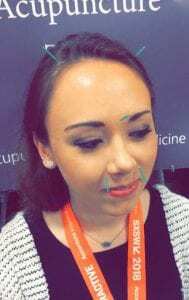 They are generally interactive and at SXSW are almost uniformly over the top. Warner Bros is really going all in for Steven Spielberg’s Ready Player One this year. In addition to a sort of creepy flash mob that’s been walking around downtown telling us they’re looking for Wade Watts (code name Parzival), they have a large activation on 4th Street that never seems to have fewer than 50 people waiting to go in. I waited in line for about an hour. 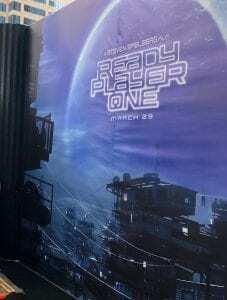 The activation featured gamer/sci-fi memorabilia from the 80s and 90s, including a ceiling-height bust of The Iron Giant and a DeLorean for photo ops. The main attraction was a seemingly very cool VR experience that puts you in the virtual reality world of the film, the OASIS, but I did not do this because, yikes, lines. The tech they’re using to capture data is particularly impressive for a pop-up experience, including lightweight wristbands containing your avatar name that you scan for each experience you participate in. To be honest, I don’t know anything about this film, and it isn’t my typical genre, but I do feel like I have to see this movie now. I’m too involved! 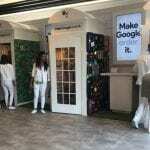 Google’s pop up activation in the Fairmont had four different “phone booths” immersive set up to demonstrate the Google Phone’s virtual assistant. 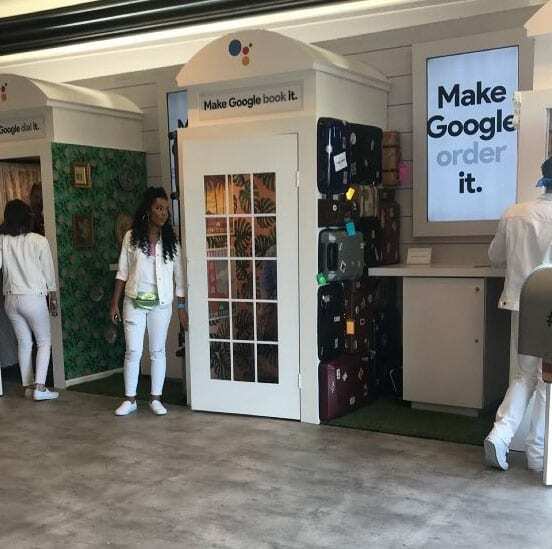 SXSW participants were guided through scenarios like “Make Google Book It” which demonstrated how you can book a trip completely through voice commands and “Make Google Order It” which demonstrated how you could order mittens for your grandma. The AI was shockingly sophisticated and responsive in real time, and there is great potential for brands to utilize voice search in their digital marketing strategies through paid search for #HeyGoogle. Most people were delighted by their interaction with the AI, but I did see one man who was frustrated by the experience. Not everyone is ready for a world run by smart computers. HQ Competitor Prove It showed up in full force with multiple touchpoints in the downtown Austin area. 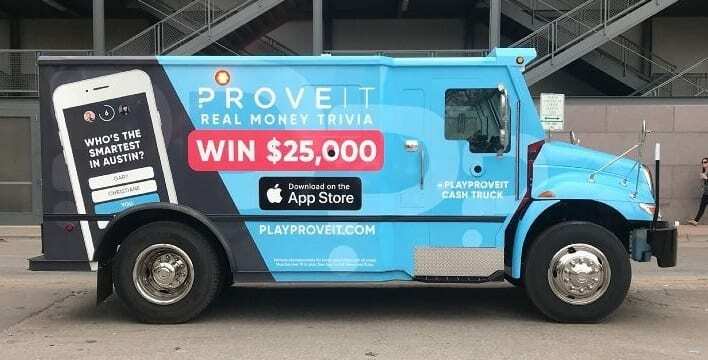 Tampa-based PROVEIT is a new trivia app in direct competition with HQ. Founder Prem was handing out “Trivia Cash Cards” redeemable for $1-$1,000 cash in PROVEIT and offering smart phone users a place to charge their phones. 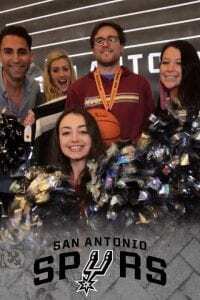 This week they will be giving $25,000 to one player in Austin only to promote the 3-month old app. Also seen around town, a branded armor truck promoting the $25,000 prize. 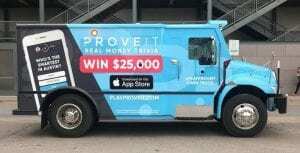 Users are encouraged to create and share a public selfie with the truck with the #ThisIsMoney and the funniest post of the week will receive $500 account credit. 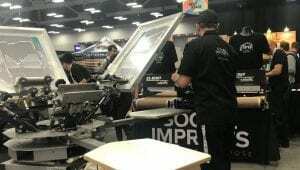 Social Imprint, a branded swag company that hires adults who need a second chance in San Francisco, set up a pop-up shop on the trade show floor complete with an onsite screen printing press to demonstrate their process. The company was raising money for a local non-profit called The Front Porch by requesting a suggested a $5 donation for a free SXSW T-shirt. Trade show attendees could also see the full range of branded products that marketers could use for swag. Another interesting activation was from YouTube. The company recreated fairy tales for the modern age with help from top creative agencies and celebrities like Silicon Valley’s Thomas Middleditch. With “The Greatest Stories Retold,” YouTube proves impactful stories can be told by a 6, 15, or 30 second clip. This pop-up was another impressive display of tech, with different video scenarios that are activated by motion and touch. My particular favorite was a shoe display that was activated when a person placed their foot in the large plastic heel. While not quite as grandiose as Ready Player One, “The Greatest Stories Retold” was entertaining and impressive. 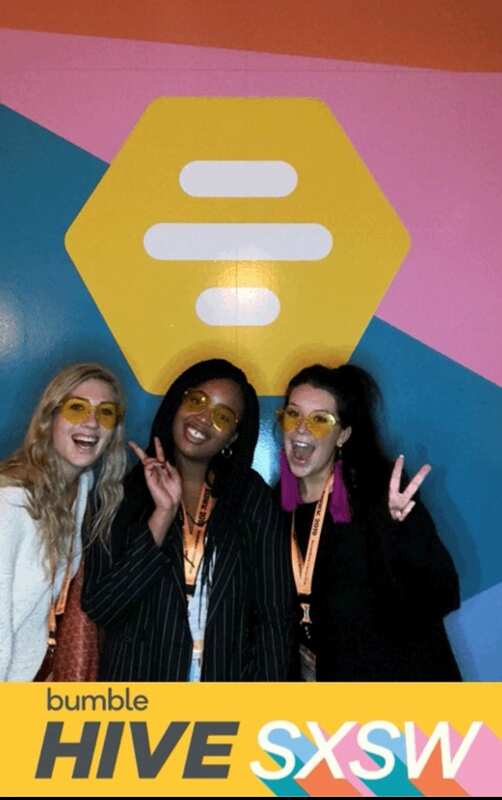 Temerlin Advertising students Hannah Tymochko and Lauren Cole explored sessions beyond marketing and technology at SXSW. CNN’s Jake Trapper paired up with Bernie Sanders to cover an assortment of topics, many of which Sanders felt are not adequately covered on CNN. Some of his notable and long-time favorites include gun control, DACA, and the 1 percent. All seemed to leave with a more patriotic taste in their mouth. Whether Democrat or a Republican, Sanders had a message for all of us. Americans should love and respect each other. In strength we are united, but divided we are weak. Every question resulted in strong messages of unity and love. 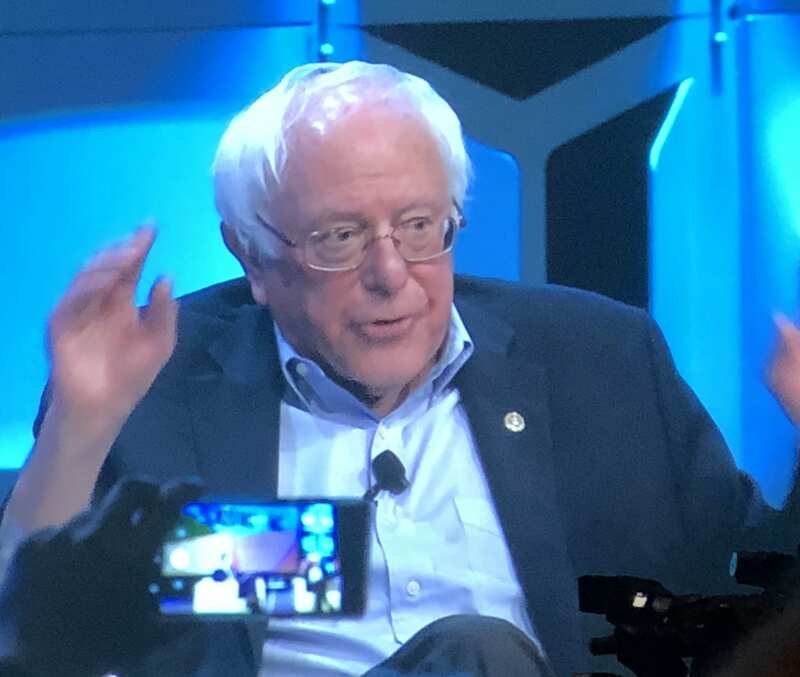 Both democrats and republicans made their presence known verbally at one point or another, but there seemed to be no disagreement on Sanders’ message of unity and collaboration. This talk was drastically different from what I had expected to see at a technology conference, and could not have been a better start to my experience. The Richards Group’s Chris Ferrel’s “I’ve Got No Screens: Internet’s Screenless Future” was a stark difference in content and tone. Marketing to a #screenlessfuture was educational and entertaining. Current advertising practices are built around the importance of screens in consumers’ lives, but Ferrel warns that the future will contain less and less interaction with screens and will instead rely on voice interactions (i.e. Alexa, Google Home, and Siri). Unlike the Sanders’ session, Ferrel was filled with humor. The insertions of funny content were welcome. “OK Goo-Goo” showed a video of an 85 year old woman with a thick Italian accent interacting with her Google digital voice assistant. Important to advertisers, Ferrel predicts the rise of the screenless future. 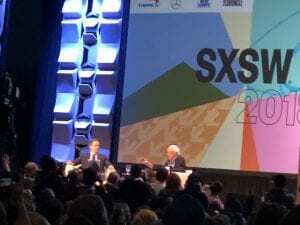 Ferrel’s session was more of what I expected to see at SXSW. It related directly to things we have learned in the Temerlin Advertising Institute, but presented a new aspect to new-age advertising that I had not thought of before. The different sessions speak to the diverse topics SXSW covers, and the amazing opportunity we have to make the SXSW experience our own. The ability to customize our adventure at SXSW has been incredible. 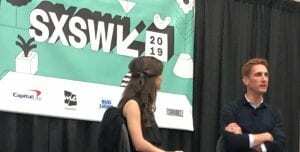 The variety in sessions offered makes the SXSW experience one that attendees can personalize. While we all have the underlying commonality of being Temerlin students, we can cater our experience to our specific specialization and interests. 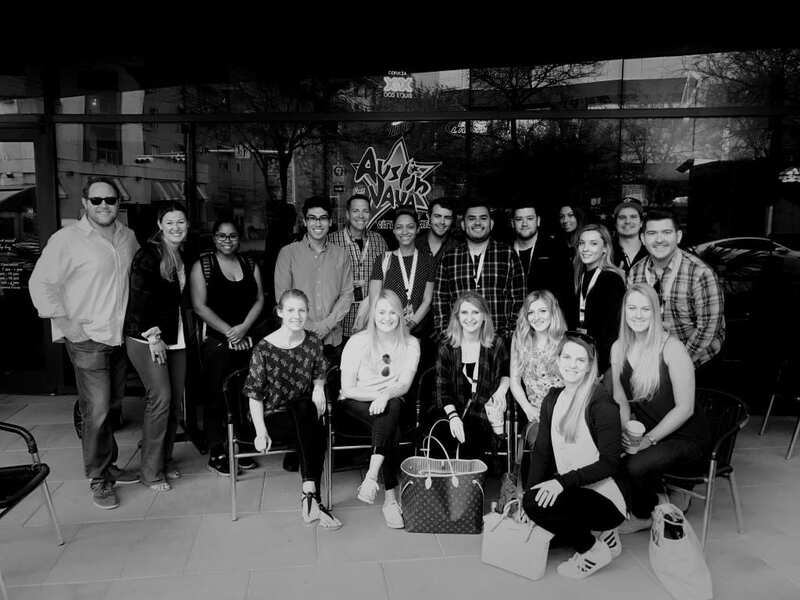 People from all over the world who are in such different professions all come together to attend SXSW, and we are so lucky to be able to be a part of it.